* Have a class in mind? Search class times based on your class name. * Find a list of classes, instructors, descriptions, and locations. * Search water aerobics schedules based on class name, dates and more. 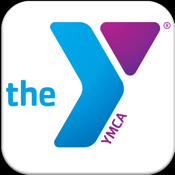 * See upcoming YMCA programs such as sports registrations, new classes, new videos and more. * Share this info via email with your friends and family. * Need to know if a sports practice or game is canceled? * The Field Status service gives you up to the minute status info. * Pool closed? Snow closures? We can tell you. * Get Push Notifications of practice and game cancellations.